Our long-span racking system is a combination of simple and robust standard structural components. This system is suitable for storing larger volumes of light- to medium-weight products. It can easily be assembled using simple components such as uprights and beams, and shelving or decking. The beams can be used as shelving or decking supports. The long-span racking system is suitable for storing small and medium-sized products that can be handled by hand. 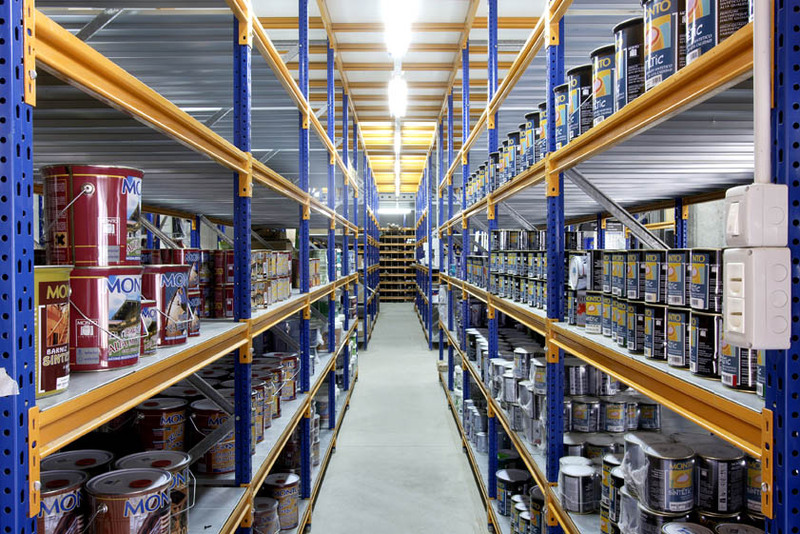 It is a hybrid between a shelving system and pallet racking system. Pairs of beams are mounted between the uprights so that multiple levels are created. The pairs of beams can be equipped with steel shelving or wooden decking. The large span allows for storage of larger loose or packaged goods, particularly in comparison with shelf racking. Please contact us for a customized quote on long-span racking.